Helping people attain and maintain recovery through professional services. An intervention is the first step towards addiction recovery. It is particularly relevant for inducing willingness to change in your loved one who may be resistant to accepting help e.g. treatment, detox, rehab, etc. Interventions have been successfully used by Sober Services since 2008 to confront and address serious personal problems, including alcoholism, compulsive gambling, drug addictions, substance abuse including prescription pill dependancy, compulsive eating and other eating disorders, self harm, OCD (obsessive compulsive disorder) and other behavioural health conditions. A Sober Intervention is one of the most loving and compassionate things you can do for someone struggling with addiction, as it helps them to realise the damage they’re doing not just to themselves, but also to the people who love and support them. It is often the first time they realise that their behaviour is genuinely a problem and requires addressing to secure a permanent solution - recovery. Our team our here to help, call us now to see how we can help someone you care about. 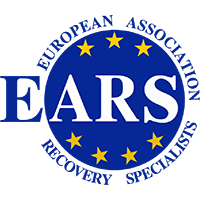 Sober Services is proud to be recognised as part of EARS - the European Association of Recovery Specialists, for Interventionists, Recovery Coaches & Sober Companions. We’ve worked hard to achieve this membership, which includes our accreditation and insurance, as well as offering us the opportunity to network and discover best practice with other Practitioners across Europe and beyond. Here are the 10 stages of a Sober Intervention, simply click on each section to see more details. The Sober Intervention always starts with a full gathering of as many of the family and friends as are able to join us, but we never include the addict or the alcoholic at this stage. It’s vitally important that they do not know that we’re meeting to discuss them and their addiction. Between three and six people is a good number. Agree that you will maintain complete confidentiality and that no one will inform the addict / alcoholic. This is so important. During this first consultation we’ll be discussing the facts about the addict, and noting all the harmful behaviour that you’ve all observed. You’ll be explained how and why we write everything down in letter format which will be read out to the addict during the actual Sober Intervention. We shall be planning what each of the group will say and in which order. We will examine how we believe the addict will react and what barriers they’ll throw up. We want to be able to completely anticipate their answers beforehand and have all our answers ready to fully address their denials, tears, anger and so forth. Whoever is leading the Sober Intervention (from Sober Services) will work individually with everyone to ensure that the letters are well written and that everyone is able to stick to the plan of action, especially the Strong Boundaries in the 3rd We’ll also make sure there’s enough Absolute Love throughout without judgement, and that the Complete Honesty is a fair assessment and factual rather than assumed.Between each section of the letter the phrase “Will you accept the help we’re giving you today?” will be inserted. This will be repeated throughout the Sober Intervention and will become like a mantra for the addict / alcoholic to keep hearing.The Sober Interventionist will arrange to have individual consultations over the phone or via skype, to make sure everyone’s letter is written in the correct manner. Every person will email their letter to the Sober Interventionist so each one has a copy whilst talking through it and looking for ways to improve the letter. In best case scenarios, we’ll then meet face to face a second time with the whole group, but again without the addict / alcoholic’s knowledge.We will do a read through dress rehearsal and understand the way the actual Sober Intervention will flow on the day.We will continue to discuss as many of the possible reactions that the addict / alcoholic may come back to us with so that you’re fully prepared to confront their addictive disease. The result of the Sober Intervention is that the Addict / Alcoholic will be escorted either by the Sober Interventionist or by the family to a residential facility on the very same day. This means that there’s plenty to be discussed and agreed upon before the actual Sober Intervention. Choosing the right treatment facility will depend on a great deal of different factors including location, culture, length of programme, detox facilities, and maybe most importantly, budget. Sober Services will help you make the right choice and will set up all the connections for a smooth admission on the day. We’ll need to make sure that we’re able to pack the addict’s bag and that a passport is available if they need to travel by air. We need to make sure their diary will not throw up any objections that will override the decision to accept the help we’re trying to give them. Things like Court Cases, or Weddings, or important work commitments will need to be discussed and overcome. It is always best to do the Sober Intervention as early in the day as practical. This allows us to do the Sober Intervention before the Addict / Alcoholic is intoxicated and hopefully will have them in a position where their body cries out to them for help in some form or ever, making it easier for them to accept our help before they have to go out and drink or use. Remember, this is about offering a graceful exit to their addiction, not making it feel like they’ve been forced.We will also agree on who the leading member of the family and friends will be. This is the person whom the Addict respects or listens to the most, often one of the Parents, though not always. It could be a spouse or sibling or even one of the elder children. We will have a specific seating plan that the Sober Interventionist would have configured and everyone will need to be there on time ahead of the Addict / Alcoholic’s arrival. There will be a specific order of reading the letters out too, so everyone will know exactly when to speak and when not to. We will ask everyone to maintain a formal atmosphere and for everyone to behave politely and not to become agitated or aggressive. Similarly, no one should feel scared or threatened. The Sober Interventionist will introduce themselves and ask the Addict / alcoholic whether they believe they have a problem and need help first of all. This could be over very quickly and often they do accept the help at this stage as they look at the faces gathered in the room. If he or she denies a problem then we proceed to go around the room (in the pre-agreed order) as each person reads out their letter. Allow the Addict / Alcoholic to answer each person’s letter but don’t agree with them. Avoid accusations or anger and simply move to the next person in the circle. At the end of each persons letter remind the addict / alcoholic that you love him or her, and that you don’t want them to destroy their life. The Sober Interventionist will be continually assessing the situation and will not accept it when the addict / alcoholic tries to say that they will seek treatment “later”. This is not acceptable. This meeting is an ultimatum, and we must be prepared to overcome every objection as they arise. It will be difficult, but the Sober Interventionist will help the Addict / Alcoholic deal with whatever anger, denial or resistance comes up. We don’t want the Addict / Alcoholic to feel as if everyone has ganged up on them, but we must be united and strong to succeed and we must not cave in to their illness. In most cases, the Addict / Alcoholic will agree to go to treatment as per our agreed plan. In the rare occasions that they doesn’t happen immediately then that doesn’t mean we’ve failed, but will mean that our efforts will start a chain reaction of events that will ultimately lead them to change their mind once the boundaries are enabled. In addition, you’ve made it known that you will no longer enable his or her behaviour and that their addiction, however they consider it is approaching the end of it’s life cycle – the game is up. Life will never be the same for the Addict / Alcoholic, whatever happens next. They’ll know that in order to maintain the balance and unity of the family structure that they’ll need to address their addiction, and they’ll always be thinking about it, until they do decide to accept the help we’ve been offering them. Our dedicated team are here to help if you have any questions. If you're not sure whether a Sober Intervention is the right thing to do for your loved one, Read our page on reasons for a Sober Intervention. Have some questions about our Sober Intervention? We offer independent and unbiased help choosing which residential rehabilitation centers or detoxification clinics are the most appropriate. We also offer Sober Transportation from anywhere in the world for individuals considered at risk to travel by themselves. To any family feeling helpless, frustrated and like there is no way forward to help your alcoholic loved one, please phone Sober Services now. There is a way forward.I phoned to learn about Intervention – a word that conjured up terrible images. It was an emotionally fraught time. After just one phone call I had clicked with the person who took the call, been reassured about the Intervention service on offer and, most importantly, been convinced that finally, finally, somebody understood our situation and had a clear way forward for us to help our Dad. During the emotional rollercoaster week after that first phone call, knowing Sober Services were on hand, on our side and committed to working with us was like being wrapped in a security blanket. Suddenly, there was someone, a professional, available 24/7 to answer all our questions and provide both emotional and practical support. If you have a loved one who is an alcoholic (drinking, recovering or any stage in between) and you need help, phone Sober Services. It will be the single best thing you have ever done for yourself and your loved alcoholic. It was around this time last year I contacted you and asked for your help providing an intervention to help me, my family, and most importantly my brother. You found us all in a very dark place. My family was torn apart and ruined. We struggled to see a light at the end of the tunnel, and all felt truly lost. After battling with my brothers addiction for nearly 10 years, after trying every avenue and failing time and time again, we had hit rock bottom, desperate to help him but finally accepting defeat. But now after your successful Sober Intervention and residential rehab recommendation we are approaching my brothers one year anniversary. This was something I not only thought was impossible, but has now created the foundation of my new relationship with him. Thank you for everything you have done for all of us. We are a completely different family now, a happy one. Thank you for giving me my brother back. We have been using sober services virtually since there inception in 2008. We have no hesitation in recommending their services to all those who think they may need them. Our experience in working with them is first class, and so is their service concept and attitude. We believe Sober Services are an intrinsic part of our success. 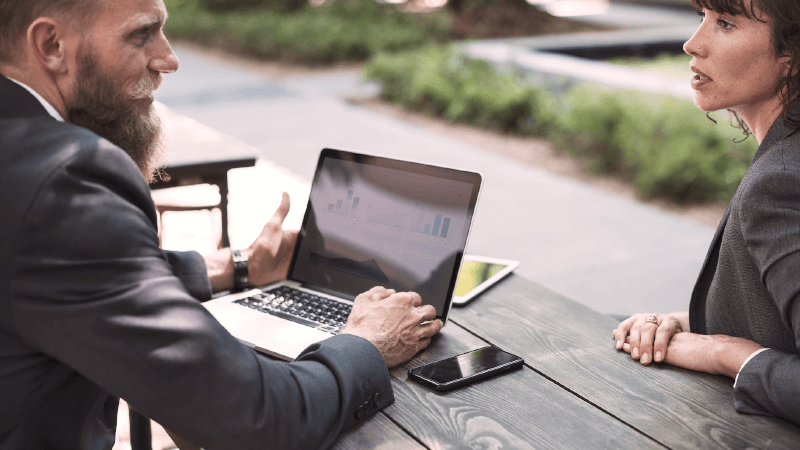 Their ability to respond almost instantly is something we have not experienced before, and becomes a valuable resource when dealing with clients’ during a time of personal crisis. We are proud to offer Sober Services as part of our structure. Sober-Academy is delighted to present its signature training programmes, Professional Interventions for Addictions and Behavioural Health. This certified 3 day training will give you a full insight into how to work with the family to guide clients and bring about the willingness to accept the help they’re being offered for treatment and recovery. If you would like us to call you back, enter your details on our secure form below and we will call you back as soon as possible. 3 common excuses addicts / alcoholics use to justify avoiding addiction treatment. Sober Services shared a post. For it is life, the very life of life. And tomorrow a vision of hope. Look well, therefore, to this day. Such is the salutation of the dawn." #RecoveryCoachTraining #RecoverySpecialists #CertifiedInterventionTrainingHere’s the itinerary for all the upcoming courses in 2019 from our Sister Company Sober Academy. Here’s the itinerary for all the upcoming courses in 2019 from our Sister Company Sober Academy. A little AA History, focusing on Ebby Thacher. Sober is the new Black. Brilliantly written article about a friend of ours facility in London. Well done Michael D Ishmail. You can contact us via WhatsApp or use the form below and we will contact you back as soon as possible. You Privacy is very important to us. Naltrexone is a drug that blocks the effects of heroin and methadone (Physeptone) and all other opiates, such as morphine, Palfium, codeine, dihydrocodeine (DF118) and Subutex (buprenorphine). 1 implant – which lasts for 10-12 weeks = £1495.00 + VAT, 5 implants to cover a 12 month period = £6995.00 + VAT. Naltrexone enters the brain and nervous system and attaches itself to small areas called opiate receptors. For heroin to produce its effects, it must get to these receptor sites, but naltrexone stops heroin getting to them. Naltrexone helps prevent relapse. Most heroin addicts will have at least one relapse after getting ‘clean’. Research indicates that addicts who take naltrexone regularly have a better chance of staying clean than with any other treatment. Completely. Most addicts try using heroin soon after starting naltrexone. Once they realise that smoking or injecting even several grams of heroin has no effect, they don’t usually waste their money by trying again. HOW LONG DO I TAKE IT FOR? We recommend you take it for at least six months and agree to let a responsible family member, friend or workmate see you take it regularly. Definitely not. 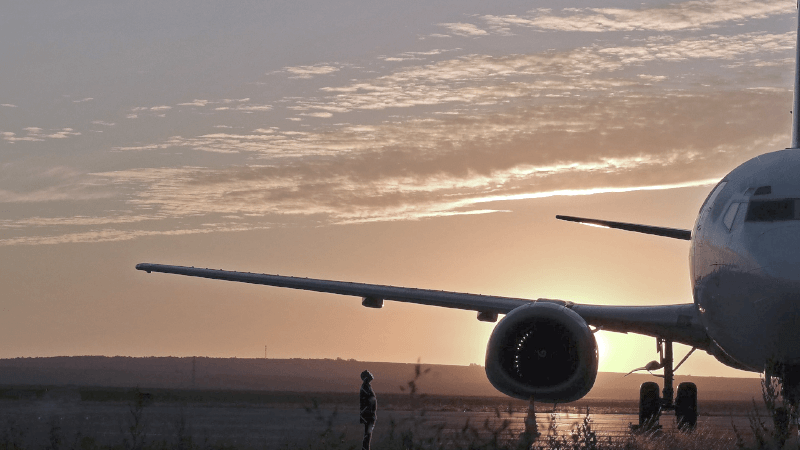 Even after several months, there are no withdrawal symptoms if you stop suddenly. IS IT A NEW DRUG? No. Naltrexone has been used in the USA for over 30 years and in Britain for over 15 years. DOES IT HAVE SIDE EFFECTS? Very few and none of them serious. A few patients experience slight tiredness or indigestion. Even swallowing a whole bottle of tablets causes no harm. However, if you take naltrexone while you are physically addicted to heroin and other opiates, it will cause withdrawal symptoms within a few minutes. If you stop taking naltrexone and start using heroin again, you could kill yourself if you took your usual dose of heroin right away. WHO SHOULD THINK OF TAKING NALTREXONE? Any opiate addict who wants to stop using opiates but who has never managed it for long, or at all (except in institutions) or who thinks that relying on will-power, NA or counselling alone will not work for them. IS COUNSELLING NEEDED AS WELL? We advise all patients to attend, or have telephone consultations, two or three times during the first month and at least every month or two for the next six months. Some people may need to come more often but if you stay clean for a few months and keep yourself occupied, a lot of your problems will probably disappear without much help. We like to involve your family in treatment. If you already have a counsellor, we are happy to work with them. NA (Narcotics Anonymous) have told us they don’t mind people attending NA meetings while on naltrexone. CAN ADDICTS GO STRAIGHT FROM HEROIN OR METHADONE TO NALTREXONE? Only by using heavy sedation or anaesthesia. However, if they can get themselves ‘clean’ for about four days from heroin and about seven days from methadone, they can usually start naltrexone as out-patients. WHAT HAPPENS IF I STOP TAKING NALTREXONE AND RELAPSE? 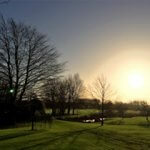 We will offer you a choice between detoxing and starting naltrexone again, methadone maintenance or slow withdrawal, or referral to a residential programme. If you have a Wedgewood naltrexone implant, you don’t need to take naltrexone by mouth until the implant wears off. We advise that a second implant, if you are having one, should be inserted between 4-5weeks after the first one to try to ensure that there is some overlap between implants. If it turns out that your implants last longer than the average of around 6 weeks, subsequent implants can be put in at slightly longer intervals. (Alternatively, consider an O’Neil longer-acting implant). If you feel confident that you would take oral naltrexone reliably after the first one or two implants, you should take one tablet daily or two to three tablets every two or three days. Please arrange to take naltrexone tablets under supervision, preferably dissolved in coffee or juice to discourage cheating. People taking unsupervised naltrexone tend to stop it too soon and are much more likely to relapse. If you are running short of naltrexone, half a tablet daily will probably still provide adequate opiate blockade. Patients with an implant should make sure they keep a small supply of naltrexone tablets as an emergency reserve. This can be used if there is an unexpected delay before the next implant or if a prescription for tablets gets delayed. Implants of any type occasionally get infected. Usually, this clears up quickly with antibiotic treatment but an abscess could develop and the implant could be lost if the abscess bursts. This seems to be very rare. If it does happen, you should take oral naltrexone half to one tablet daily and seek further advice from us immediately. Naltrexone implants and naltrexone tablets taken regularly seem able to block even large amounts of heroin or other opiates. Many patients test out the blockade in the first few days and are reassured to find it works. However, it can be dangerous to try to overcome the blockade by using enormous amount especially when the implant may be starting to wear off, i.e. any time after about five weeks, because you could be at serious risk of a potentially lethal overdose. When you have been clean for a few weeks, you lose your tolerance of opiates. That means that even quite a small amount of heroin could kill you if you were not protected by naltrexone. Abstinence from opiates has risks as well as benefits. There is a sad and steady trickle of overdose deaths in patients who had been clean for weeks or months and thought they deserved a little treat. DON’T LET THIS HAPPEN TO YOU. Being on naltrexone means that opiates will be ineffective for pain relief if you have an accident or need surgery. Fortunately, there are pain-killing drugs which are not blocked by naltrexone. These include nitrous oxide (laughing gas) which most ambulances carry and the anaesthetic drug ketamine. Make sure that you always wear your naltrexone warning card and/or wear your warning tag. Swelling at the implant site two or three months after insertion sometimes occurs. It is usually painless and usually settles without treatment. Very occasionally, infection or tissue reaction at the implant site could lead to a hole or ulcer forming in the skin. This could require surgical treatment but we stress that serious reactions seem to be very rare. Phone us if you are worried. It is very important to avoid soaking the incision and dressing for at least the first four days. Take showers rather than baths and protect the dressing against water. Change it if it gets wet. Please telephone us you think you are developing any infection or other reaction at the implant site. It is normal for the area to feel bruised and tender for a few days but persistent throbbing pain, redness and swelling, or discharge from the wound, suggest that infection is developing. Allergy is rare but not unknown. Different doctors use different types of sutures (stitches) to close the implant incision depending on what they are most familiar with. Sometimes the sutures may be underneath the skin and do not need to be removed. It the sutures are visible, then they should be removed after a minimum of 7 days and preferably not more than 14 days, to reduce the risk of localised infection. We can remove them during follow-up visits. Alternatively, your GP can remove them, or we can tell you how to do it yourself.